Adventure movies as old as this one are often dismissed offhand. No explosions? No blood and guts? 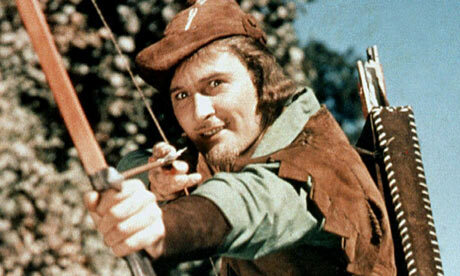 Not “realistic?” None of these things matter in The Adventures Of Robin Hood. It puts a smile on your face that doesn’t leave for the entirety of a very briskly paced thrill ride. Positively timeless. It’s completely unrealistic, but you find yourself loving it even more because it does allow you to escape. At least for a little while. And ultimately it’s a movie about friendship. Who can frown on that? There’s a great DVD available that features the film along with old trailers, a newsreel, short feature, and cartoons, so that you can recreate the experience of going to the movies back in the day. There’s no better way to kill a rainy afternoon. ← Back To The Comics- Nick Fury: Agent Of S.H.I.E.L.D.